Yvonne was born and raised in Hong Kong and is deeply familiar with the city's landscape and culture. Prior to joining Proway, she worked as a senior consultant at a highly reputable relocation company. Yvonne has assisted hundreds of families and individuals with their relocation to Hong Kong, providing in depth orientations of the city as well as detailed and tailored home search services. 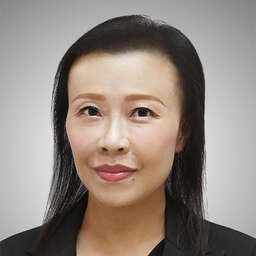 Over the years, Yvonne has built up an extensive and solid knowledge of the Hong Kong leasing property market and is familiar with various areas and residential districts. Yvonne understands the challenges of relocating to an unfamiliar city, especially finding and securing the right home. She is patience, reliable, honest and works tirelessly to fulfill her clients' needs. Yvonne is well versed in English and Cantonese. She enjoys hiking, traveling and listening to music.